Membership has its privileges - including access to over 300 free classes per week! 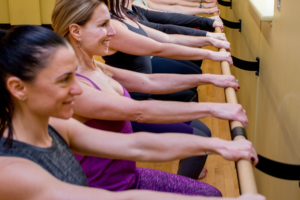 Our Doylestown location includes dedicated studios for Group Exercise, Indoor Cycling, Barre and Yoga. Classes are offered for every level from beginner to advanced; senior-friendly classes available. 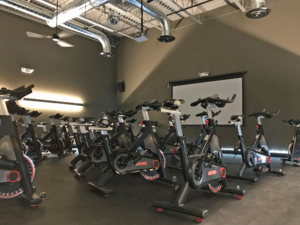 Our New Hope location includes dedicated studios for Group Exercise, Indoor Cycling, Barre and Yoga. Classes are offered for every level from beginner to advanced; senior-friendly classes available. Our Warrington location includes dedicated studios for Group Exercise, Indoor Cycling, and Yoga as well as lap and healing pools. 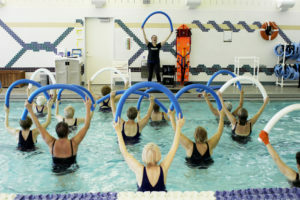 Classes are offered for every level from beginner to advanced; senior-friendly classes available. It can be intimidating to try something new. Our free Intro classes are a low stress way to learn the basics so you can feel confident when you walk into your first "real" class. We offer Intros to Yoga, T'ai Chi, Barre, Group Fight and Indoor Cycling. Pre-registration is required for all intro classes. Non-members, please contact a membership advisor to schedule a class. Mossa is a leading developer of world-class professional group fitness programs including Group Power, Group Fight, Group Blast (offered in Doylestown and New Hope) and Group Active (offered in all three locations). New releases, launched quarterly, are tested for both programming and music and are taught by highly trained and certified instructors.